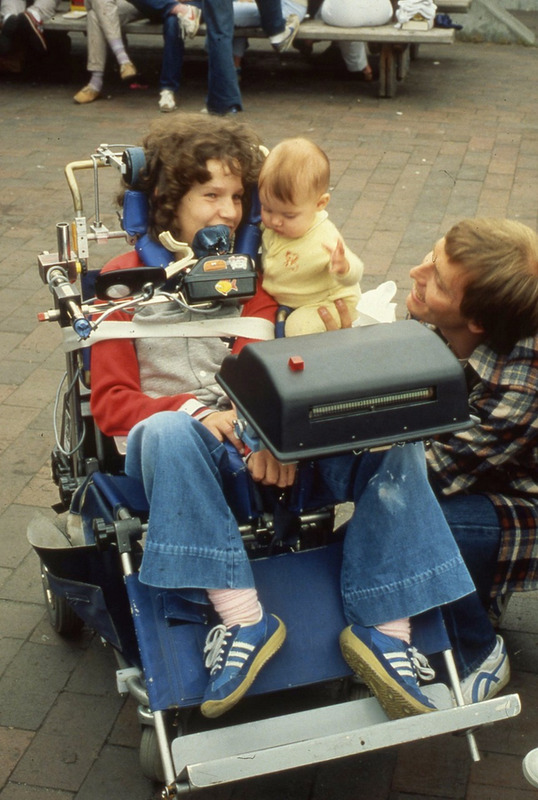 My name is Tania Finlayson, and I was born with cerebral palsy. A few doctors told my parents that I probably would not amount to anything, and suggested my parents put me in an institution. Luckily, my parents did not take the advice, raised me like a normal child, and did not expect any less of me throughout my childhood. I had to eat my dinner first before I could have desserts, I had to go to bed at bedtime, and I got in trouble when I picked on my older brother. The only difference was that I was not able to communicate very effectively; basically, I could only answer “yes” and “no” questions. When I was old enough to read, I used a communication word board with about 200 words on it. I used a head stick to point to the words. A couple of years later, my dad decided that I should try a typewriter and press the keys with the head stick. Amazingly, my vocabulary grew. My mom did not dress me in plaid anymore, I could tell on my brother, and I finally had the chance to annoy my Dad with question after question about the world. I am quite sure that my Dad did not, in any way, regret letting me try a typewriter. Ha! Several years later, I was one of four kids chosen to participate in a study for non-verbal children at the University of Washington. 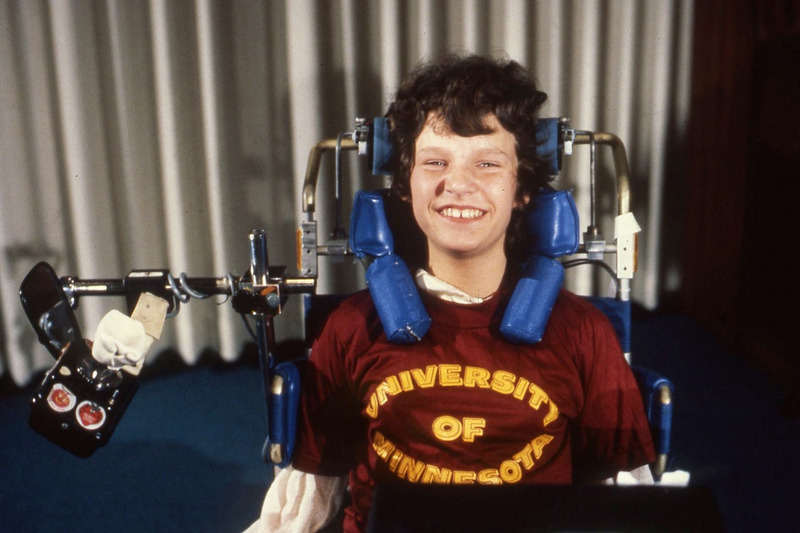 The study was led by Al Ross, who wrote a grant funding the creation of a Morse code communicator for disabled children. Morse code, which is a communication system that dates back to the 1800s, allowed us to spell out words and communicate just by using two buttons: a dot “.” and a dash “—”. Me using the Morse code communication device Al Ross created. The device was revolutionary. It would convert my Morse code into letters then speak out loud in English and had a small printer installed in it. I could activate a light to “raise my hand in class.” At first, I thought learning Morse code would be a waste of time, but soon learned that it gave me total freedom with my words, and for the first time, I could talk with ease, without breaking my neck. School became fun, instead of exhausting. I could focus on my studies and have real conversations with my friends for the first time. Also, I did not need an adult figure with me every moment at school, and that was awesome. My experience with the Morse code communicator led me to a partnership with Google on bringing Morse code to Gboard. Working closely with the team, I helped design the keyboard layout, added Morse sequences to the auto-suggestion strip above the keyboard, and developed settings that allow people to customize the keyboard to their unique needs. The Morse code keyboard on Gboard allows people to use Morse code (dots and dashes) to enter text, instead of the regular (QWERTY) keyboard. Gboard for Android lets you hook external switches to the device (check out the source code my husband Ken and I developed), so a person with limited mobility could operate the device. 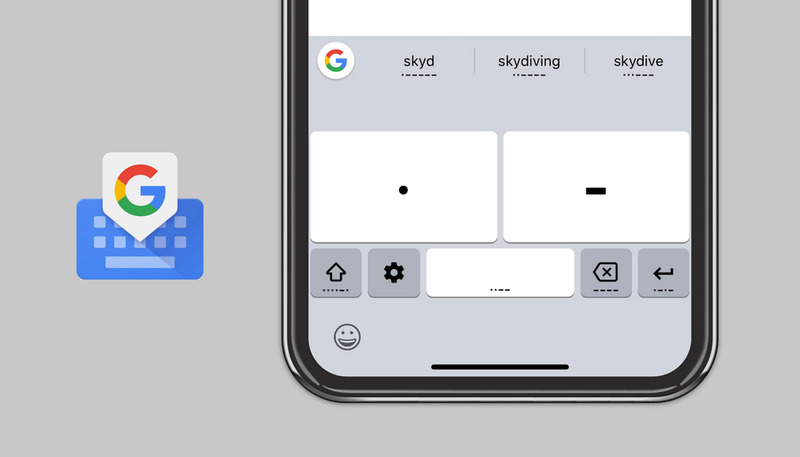 I’m excited to see what people will build that integrates with Morse code—whether it’s a keyboard like Gboard, a game, or educational app, the possibilities are endless. Most technology today is designed for the mass market. Unfortunately, this can mean that people with disabilities can be left behind. Developing communication tools like this is important because, for many people, it simply makes life livable. Now, if anyone wants to try Morse code, they can use the phone in their pocket. Just by downloading an app, anyone anywhere can give communicating with Morse code a try. 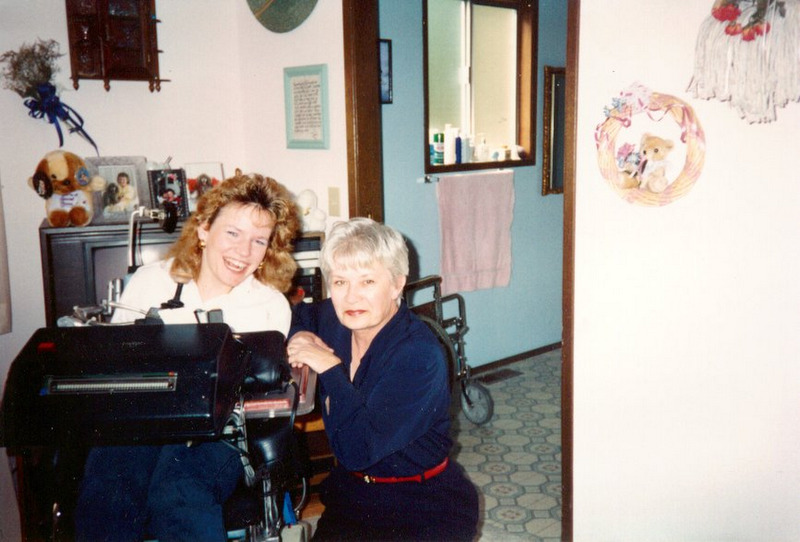 When I was first able to communicate as a child, the first feeling that I had was “Wow! This is pretty far out!” The first thing I typed was “You’re an old fart, Dad!” That was the first time I saw him laugh with tears in his eyes; I still don’t know if I made him really laugh or if I made him really sad! Probably a little of both.